Thomas Jefferson said these words in 1801, during his first inaugural address. He was alluding to the bitter politics between parties in our founding era. Some things never change. We are answering the call for posters of our popular infographic series. 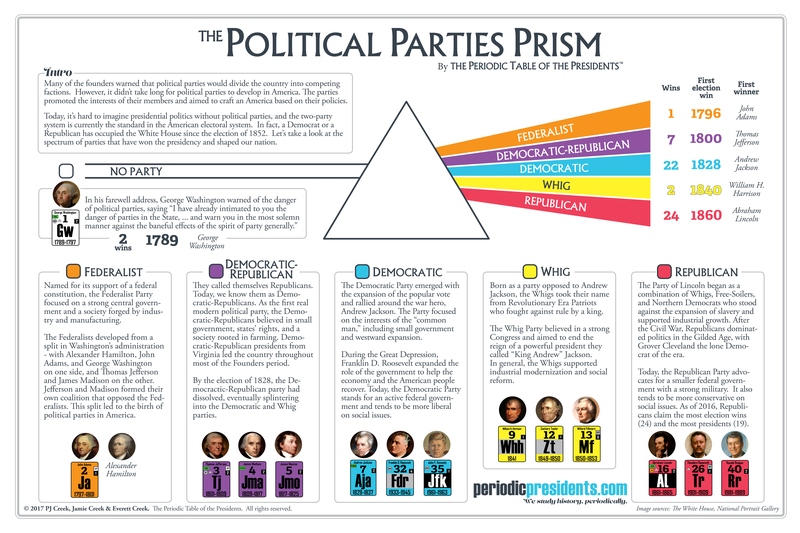 Based on your requests, we have chosen “Inaugural Addresses” and “The Political Parties Prism” as the first two in our new Periodic Prints series of smaller format posters.